Sometimes you face a serious problem when surfing the Internet. When you visit a website and you are about to see the content, you are asked to complete a survey. 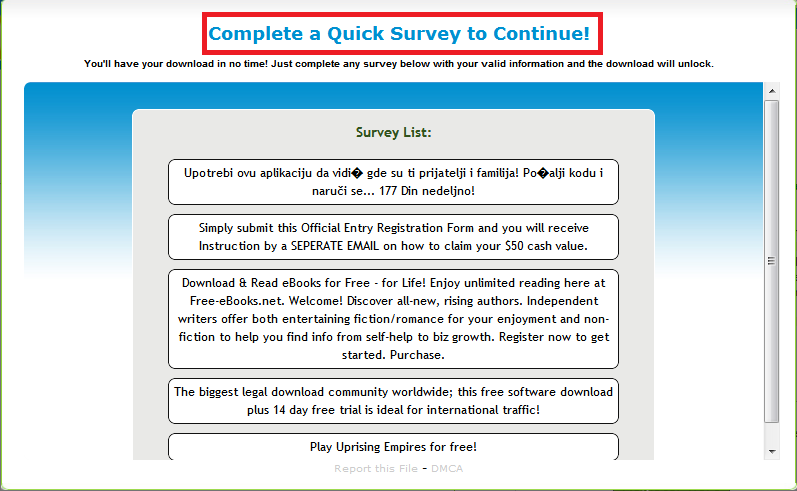 Those surveys are very annoying and some of them are CPA/CPL (which means: you have to pay ). 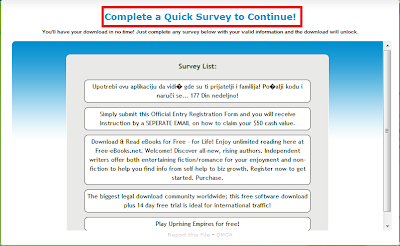 Instead of taking a survey, you can bypass them with simple clicks, here I'm going to show you 2 ways to bypass surveys on any Website including ShareCash. 1) Click on Settings' Wrench on the top right of Google Chrome. 6) Done! Now just go the website that asks for surveys and you'll bypass them. 2) Now keep pressing Delete button to delete scripts on Inspect Element tab, until Complete a Survey disappear. 4) Done! Now you'll see your full content or download on Sharecash.